An Italian native, Giovanni Ferlito grew up in the volcanic wine region of Etna. Discovering mixology at an early age by watching the Tom Cruise film Cocktail, he began his career in the hospitality industry in 2002 as a bartender. Subsequently becoming bar manager for Italian hotel group Valtur, he travelled the world. 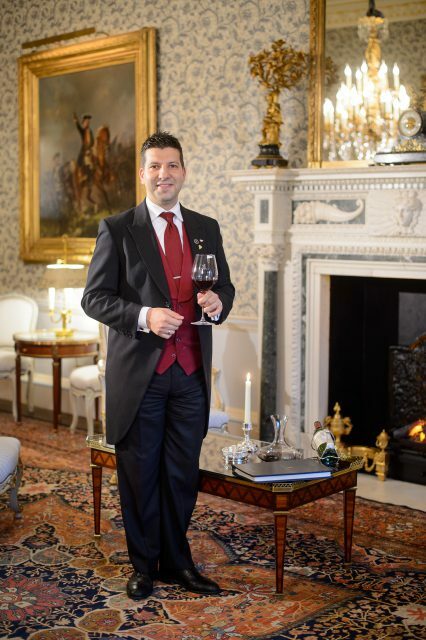 Arriving in London in 2010, he chalked up stints at Michelin-starred Italian Locanda Locatelli, two-star fine-dining stalwart The Connaught and private members’ club Morton’s, before joining The Ritz in 2014 as its head sommelier. Having relaunched the wine list in 2017, Ferlito is now responsible for around 800 bins, 150 of which have been added during his tenure. He was promoted to his current position shortly after, and now oversees the drinks menu for the Michelin-starred Ritz restaurant, Palm Court, Rivoli Bar and series of private-dining events, managing a team of seven sommeliers. Speaking about his changes to the list, Ferlito says: “When I came to The Ritz, I was so excited about the wine list. It was great, but it was very classic. So we had very nice verticals of all the big châteaux – Latour, Mouton, Lafite, Margaux. In Burgundy it was the same, but we were missing other important regions, for example Languedoc-Roussillon, or Corsica or the southern parts of Italy, some parts of Portugal. We were missing New World regions as well, such as Washington and Oregon.” Strong emphasis is now placed on indigenous varieties, and lesser-known wines from regions including the Languedoc, Jura, Corsica, Etna, Georgia, Slovakia and Santorini.